I've enjoyed other Heidi Cullinan books, Special Delivery and Double Blind, which had me craving more. 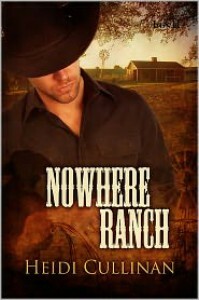 Nowhere Ranch seemed the logical next choice. I won't rehash the story, that's been done. I will say there were parts that I skipped - the discussion of abortion seemed political to me, something I don't like to see in stories. Honestly, I could have lived without Haley and had Roe even more focused on Travis, but that's me. She was sweet and was a true friend. She appeared too much I guess. Her going back home with Roe and Travis ultimately seemed like a way for his sister to be put in her place and for no other reason. Travis would have been perfect for that or better, Roe himself. My preference and neither here nor there as far as how I felt about the overall story. I'd have liked to have seen more understanding on Roe's family part instead of what felt like concession. Some questions showing their interest in Roe and who he was, along with some enlightening answers from Roe would have been satisfying for me. They'd all been pretty outspoken as to how unacceptable Roe was in their eyes and it would have been nice to see him garner the strength to say, "Look I love you, but your attitude is unacceptable. You either accept me as I am, or I'm gone, period." In the end,though, he put family first and it felt more like a momentary truce rather than a true understanding and resolution. Thank you Heidi, for making Roe a true man and not a whiny sub. He felt so real to me. My personal peccadilloes aside, I loved the characters, the first person POV fit, though I would have liked to have gotten to know Travis a bit better. Maybe Ms. Cullinan can write the next phase of Roe and Travis's lives from his POV. He's an infinitely interesting character. I never rate a book on how I wanted it to be, but on how it is. We'll always find things in every book that we wish were different, but that's like being a judge at a singing competition and judging the clothes the singer wore. I'm a fan, so much so, I couldn't approach Heidi in New Orleans and tell her. 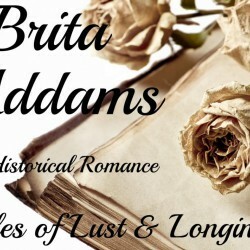 Bottom line - her characters are real, her writing is down to earth and holds no pretense. I'm starting my new year with more Heidi books. Happy New Year, Heidi.